Our Crystal Warehouse has been a dream for many, many years and during that time we’ve managed to create one of the largest crystal warehouses in Australia with around $3 million of stock on our floors. Our crystal warehouse on the Gold Coast has an incredible range of wholesale crystals, hand picked from some of the most sought after locations around the world. As you can appreciate our crystal warehouse is for wholesale crystal purchases only and if you would like to gain access, go to our wholesale crystals registration page and register as a wholesale trade customer and we’ll provide access to our wholesale crystal pricing. Currently we have some 100+ different categories of crystals with countless varieties with thousands of crystals on display at our crystal warehouse. It truly is the ultimate smorgasbord of unique crystals from around the world, sourced from locations such as Brazil, Pakistan, Africa and India to name but a few. Our crystal warehouse trades under the name of Earth Crystals and we’ve been supplying wholesale crystals around Australia since 2004. Is it possible to visit your Crystal Warehouse on the Gold Coast? 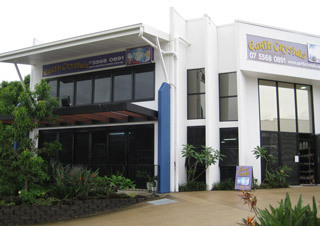 We’d love you to visit our crystal warehouse on the Gold Coast, especially if you live near by. Given our large range of wholesale crystals on display our customers often travel from quite some distance to visit our warehouse and pick out a selection of crystals to take back to their shop. Our crystal warehouse is located in Varsity Lakes on the Gold Coast and for full directions on how to get there visit our location page or feel free to contact us for more information. Can I purchase crystals at retail from your Crystal Warehouse as a member of the public? Unfortunately our crystal warehouse is for wholesale crystal suppliers only such as retail crystal shops, market stalls or online crystal shops. This means we are not available to the retail public. We have retailers all around Australia who purchase from us and most of them are located along the Eastern coastline of Australia. No matter where you are from, feel free to drop in and visit our crystal warehouse on the Gold Coast in person. Our goal is to get to know how you and your business work so we can best serve you to get the best possible result for your retail outlet. We are located just off the M1 motorway and a 9 minute walk from Varsity Lakes train station. Drop in today.